Yes, I’ve been on vacation all this past week. Yesterday we were at Mt. 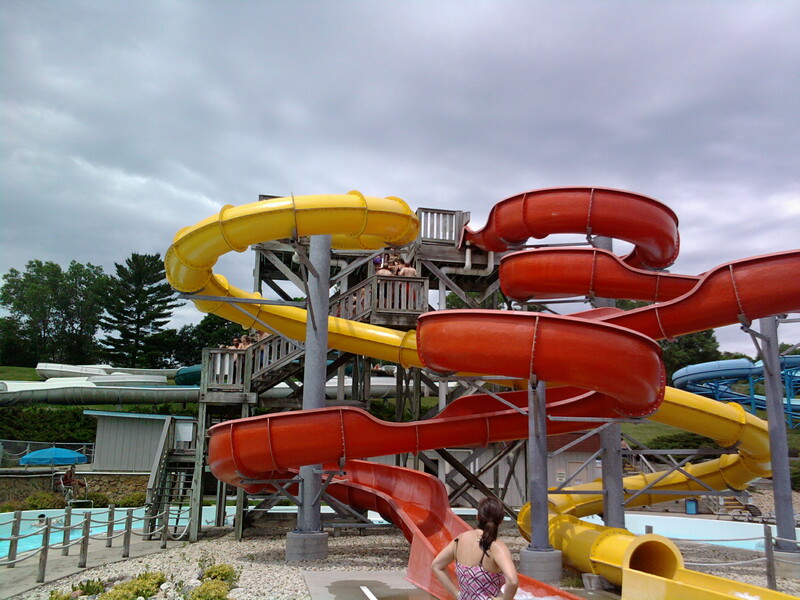 Olympus Water and Theme Park in Wisconsin Dells, WI. We had a great time! But, back at the church I had three great worship leaders leading each of our 3 venues. This post is part of the Sunday Setlists area at The Worship Community, where worship leaders from around the country share the setlists each week. I’m not sure if this link will work or not – first time I’ve tried it, but here’s a link to the service detail from yesterday via Planning Center Online – http://www.planningcenteronline.com/plans/479447. We began yesterday with “It Is You” (Peter Furler), an oldie, but one that I use quite often just to get our hearts focused on God and remind everyone (the team included) that it’s not about us, our talents, but all about God and His greatness. Then the obligatory announcements, meet/greet. What do you guys do with announcements?!? – I had heard our electric guitar player do the solo for this one last Sunday after church at a youth gathering, and he did a great job at it!! So, after the singers left rehearsal Thursday night, we bumped it up to E, (we had practiced it in D with the singers), added the guitar solo in the middle, and went with it! It came off great! Except for the fact that the singers had to really reach to get some of those notes. Also, before we started this set, I read Psalm 150, and just reminded everyone our command to Praise the Lord not just with our voices, but with stringed instruments (guitars…), cymbals, etc… I just wanted to remind them that as we play our instruments (solos included) that we are not just showing off, but I’m just giving them a chance to praise the Lord with all their heart via their instrument. – One of my favorites by Vicky B. I heard it for the first time when our choir did the “East to West” musical. We had a soloist do the first verse/chorus, then all joined in. Great chance for the band to use some different instrumentation, and build up a song. “Be At Peace With One Another” was the message title today, so to intro that we showed a funny clip from the Beverly Hillbillies during the offering about a spat between Gramma and another character that showed how NOT to resolve conflict. Our children’s pastor came up and did a really neat little visual story with the kids, involving the congregation creating a thunderstorm with paper as he read the story how Jesus said “Peace, be still” and the storm was quite. Really cool! The senior pastor then gave his message. After the message, we ended with “Break Through” (Tommy Walker). It was a challenging message about conflicts between people, and how true peace can only be found through God, and His power. I love the words to that song, and God really seemed to be at work during it. A little rest in the afternoon, then a huge group from our worship team and church went down to Rockford, IL last night for a concert with Lincoln Brewster! That was great! Only $5 concert through Summerwood. Norm Stockton was on bass, which was an added surprise – always fun to hear him play!